December 20, 2018 (North Conway, NH) – Outdoor retailer REI Co-op will be opening its first New Hampshire location at Settlers Crossing in September 2019. The store will occupy nearly 25,000 square feet and will be REI’s first-ever outdoor experience center, offering expansive gear rentals, high-end equipment demos and guided outdoor experiences. It will be the largest outdoor retail store in the Settlers properties, which include LL Bean Outlet, Columbia Sportswear, Regatta Great Outdoors, Eddie Bauer, and Timberland. REI is a member-owned co-op, offering top quality outdoor gear, expertise and experiences. While anyone may shop at REI, members pay a lifetime $20 membership and share in the company’s profits through an annual dividend. REI has nearly 53,000 members in New Hampshire and currently offers guided multi-day and day outdoor trips in the White Mountains. 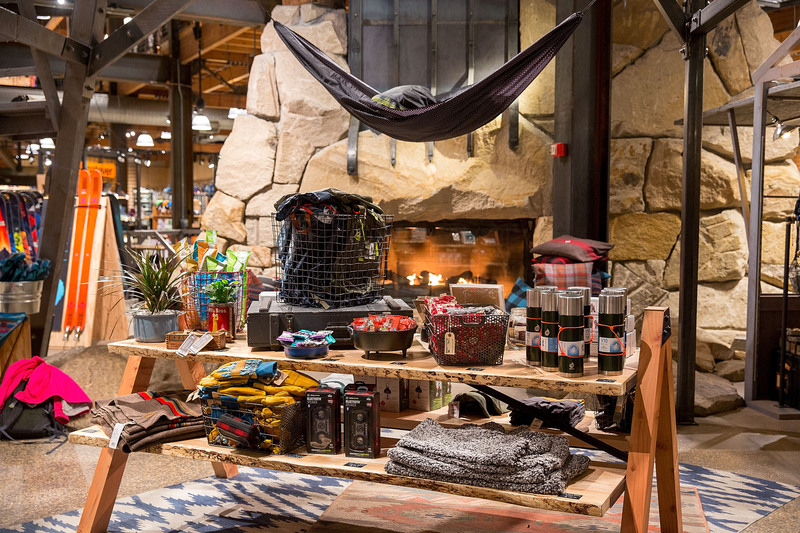 REI continues to grow because of its ability to stay ahead of modern retail trends. REI’s omni-channel experiences, meaning the experience shopping online, by telephone or in a bricks and mortar location is seamless, has helped it successfully stand out in the evolving retail landscape. Additionally, REI has fostered brand advocacy through user-generated content that makes the brand more relatable to the customer in a personal and authentic way. It has united its members and followers under the social media hashtag #OptOutside, which has nearly 11 million tags on Instagram alone. REI actively works with nonprofits across the country to protect wild places and invest in spaces for outdoor recreation. The co-op annually gives 70 percent of its profits back to the outdoor community, and in 2018 invested $8.8 million in more than 400 nonprofit organizations across the country. In addition, REI has supported trail work in the White Mountains National Forest. Through a grant provided to the National Forest Foundation, REI helped fund trail improvements in 2018 along The Crawford Path, the oldest, continuously-used mountain trail in the United States. Prior to store opening, the co-op will look for additional ways to invest in New Hampshire’s outdoor community. For 21 consecutive years, REI has been recognized as one of Fortune magazine’s “100 Best Companies to Work For.” Candidates interested in joining the REI team at any local store can apply online at REI.com/jobs. Wildcat to Open Saturday October 27th!